Thompson Falls Dam was built in 1913 and as with many hydropower facilities at this time fish passage was not a component of construction. Between 1913 and 2010, Thompson Falls Dam presented a migratory barrier to bull trout (Salvelinus confluentus), a species categorized as threatened under the Endangered Species Act in 1998, and other migratory fish in the lower Clark Fork River. In the early 2000s, the Licensee (then PPL Montana) studied fish movement behavior downstream of the dam to identify the optimal location to build an upstream fish passage facility (the fish ladder). In 2009 and 2010, construction of the fish ladder was underway. 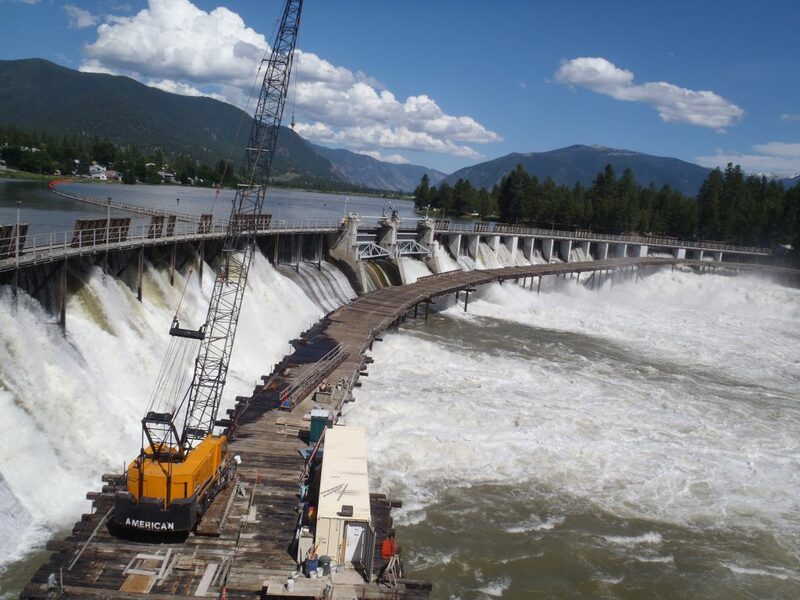 By March 2011, the country’s first full height 48-step-pool ladder, designed specifically for bull trout, was built and commenced operations at the Thompson Falls Dam. Each year the ladder operates between March and October and is closed during the winter months due to freezing conditions. All fish are handled at the work station and all species with the exception of lake trout, walleye, and brook trout are released upstream of Thompson Falls Dam. Since 2011, over 30,000 fish have ascended the ladder including 16 bull trout. The total fish count at the ladder (in real-time) is available on the Project website at Thompson Falls fish ladder: http://www.thompsonfallsfishpassage.com/. 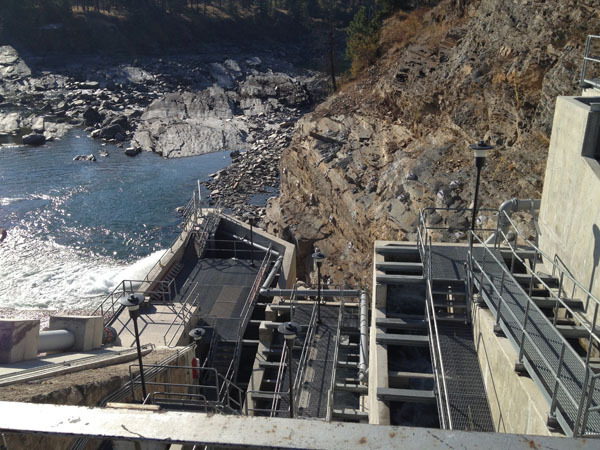 In 2014, NorthWestern purchased Thompson Falls Dam and is the current owner and operator of the dam and fish ladder. New Wave staff has participated in the planning, construction, monitoring, and reporting of the fish ladder success since the early 2000s. New Wave assists NorthWestern comply with several requirements outlined in U.S. Fish and Wildlife Service’s (USFWS) Biological Opinion and FERC Order following construction and through the term of the license (2025). NorthWestern is required to continue to collect baseline fisheries data, mitigate for downstream bull trout passage, and monitor upstream fish passage annually as well as prepare and submit an annual report through the term of the license. 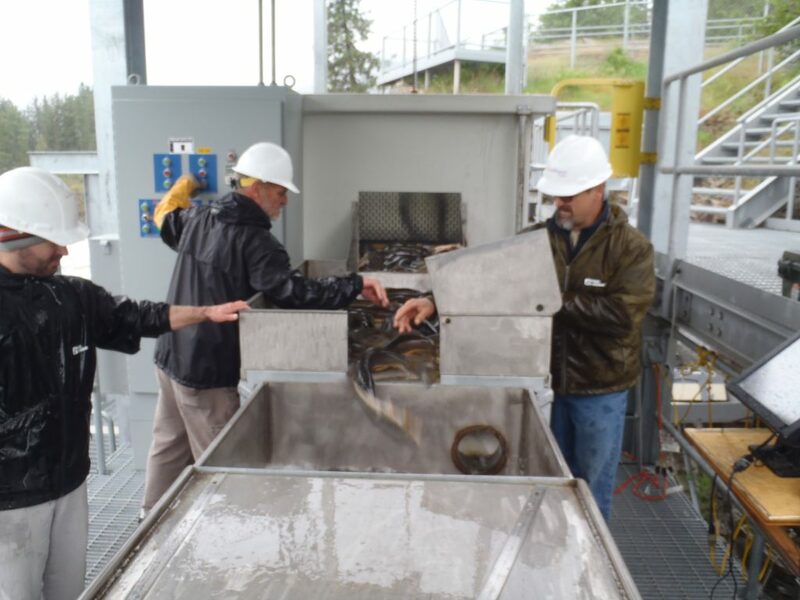 New Wave is responsible for data management at the ladder, data analysis, and summarizing the annual results at the fish ladder. The annual reports are approved by USFWS prior to filing with FERC. 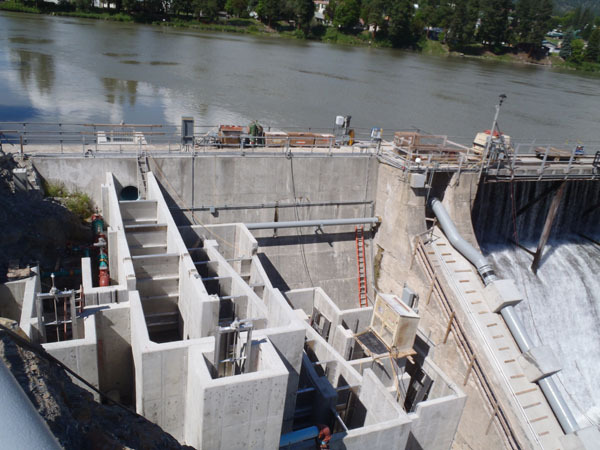 All reports are available on the Project website: http://www.thompsonfallsfishpassage.com/reference.html.